George Duke's Deja Vu should win the 2010 Truth in Advertising award, because it will sound familiar to anyone who following the keyboard virtuoso's 40-year career. Duke, however, doesn't recycle riffs wholesale from his repertoire, as he did on 2008's tepid Dukey Treats (Heads Up); instead, he pulls back from trying to recapture past funk glories with more consistently satisfying results, sounding more relaxedand, perhaps, having a bit more fun. As a musician and producer, Duke has accomplished too much to worry about pleasing anyone but himself, first and foremost. He appears to be taking stock of what he's done thus far, and is generally pleased with a résumé proving he's capable of playing sweaty funk, tried and true old school soul, straight-ahead jazz, and a little Latin swing. "A Melody" leads off with some very authentic sounding percussion effects, provided by Duke's Stylus RMX synth. Clint Eastwood once growled, "A man's gotta know his limitations," and Duke does; but he knows his strengths, too. He's a pretty fair vocalist who hasn't forgotten he's an even better keyboardist. There must be a lot of old analog synthesizers lying around Duke's garage, as he dusts a few of them off here, including a bubbling Minimoog bass, which accompanies his warm vocalizing on "Bring Me Joy." Duke played on two of Miles Davis; final recordings: Tutu (Warner Bros., 1986) and Amandla (Warner Bros., 1989). Since nobody ever came away from playing with the trumpet icon without some sort of an impression, the stunning "Ripple In Time" is dedicated to The Dark Magus, and features some very Davis-like trumpet wailing from Oscar Brashear, dueling with tenor saxophonist Everette Harp, a scorching guitar solo by Jef Lee Johnson and Duke's credible synthesizer bass. It's a seething and propulsive bit of fusion that gets better with every listen. 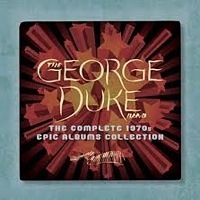 Deja Vu is divided between four vocals and six instrumentals; while Duke sounds in fine form on the mid-tempo ballads "You Bring Me Joy," "6 O' Clock Revisited" and "Come To Me Now," it's when everyone goes all out, as they do on the rowdy "Stupid Is As Stupid Does"Hubert Laws' formidable flute duking it out with drummer Ronald Bruner, Jr. and bassist Larry Kimpelthat an indelible impression is left. The moody elegance of the title track recalls some of Mahavishnu Orchestra's spacey head trips, with Eclipse Quartet violinist Sarah Thornhill and Duke, impersonating an electric guitar on his Yamaha Motif ES8, but seems more like a continuation of John McLaughlin's ideas and less an imitation. 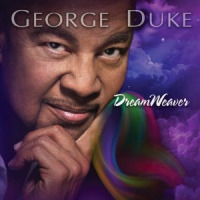 Duke is a proven funk master, highly successful producer, underrated pianist and masterful entertainer who, while never taking himself too seriously, never takes his jazz roots for granted, no matter how often he's accused of abandoning them. Déjà vu is a splendid, high energy and completely satisfying record by Duke, who has mastered the delicate art of looking back while simultaneously moving forward.